Any genealogist will attest to how valuable census returns are for family history research. They help us to flesh out the details of our ancestors’ occupations, family members, birthplaces and more. Additionally, the 1911 England & Wales census returns on findmypast.com.au includes the previously censored ‘infirmity’ column, potentially giving some idea of our ancestors’ health, too. Walter McCarthy, a 50-year-old cabinet maker, filled in the census return for the household, which included his mother, sister and aunt. Walter rather haughtily entered each of the women’s employment details as: ‘Does nothing’. Housework apparently wasn’t included, considering Walter described his 57-year-old sister Kate McCarthy’s ‘personal occupation’ as ‘sweeping rooms, cooking food, etc’. 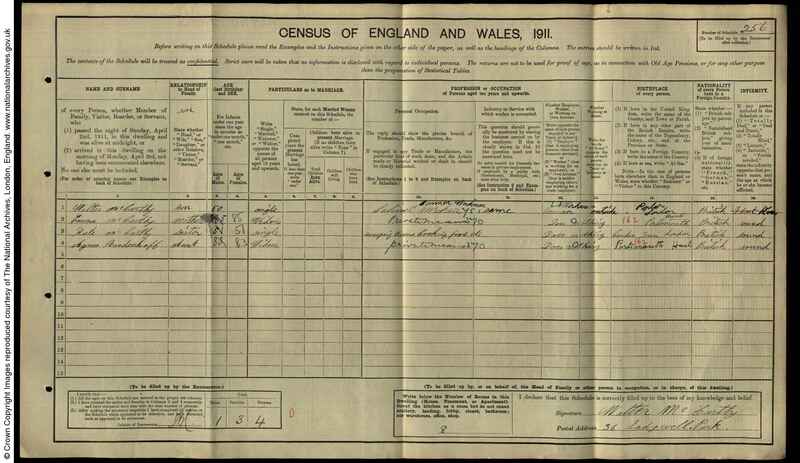 We can’t help but wonder if there was some tension in the McCarthy household when the census was filled out on 2 April 1911!